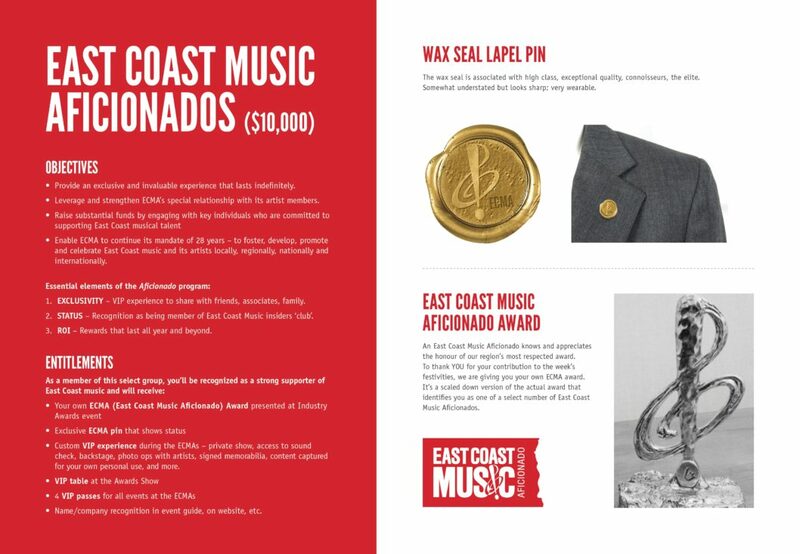 The East Coast Music Association Aficionado Program, an initiative that will support the music industry and musicians of Atlantic Canada. 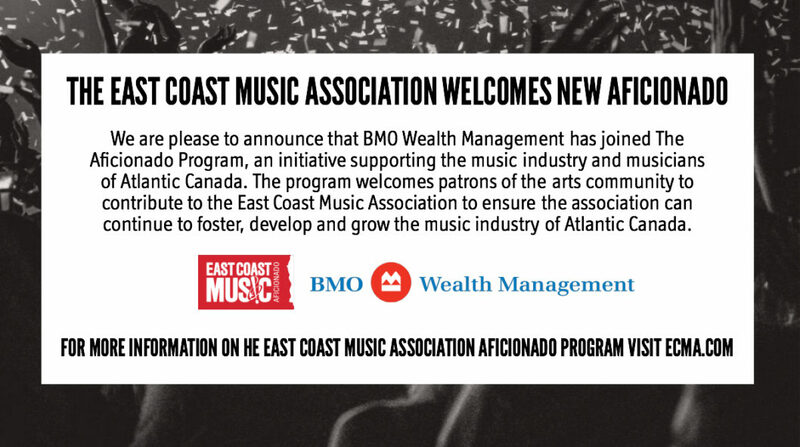 This new program will welcome patrons of the arts community to contribute to the East Coast Music Association to ensure the association can continue to foster, develop and grow the music industry of Atlantic Canada. Aficionados each donate $10,000 to this initiative. A VIP experience of the East Coast Music Awards, including private show, photo opps, access to backstage sound checks, signed memorabilia and more! To learn more about the Aficionado program and its benefits, contact Andree Gracie at sponsorshipmanager@ecma.com.